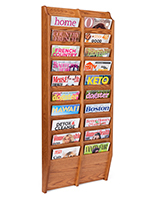 This Magazine Rack Is A Versatile Literature Holder, Accommodating Brochrues or Magazines! 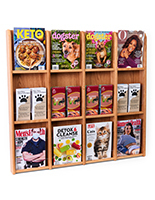 Find Hundreds More Online! 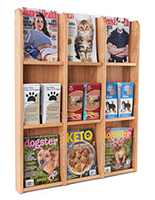 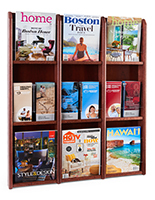 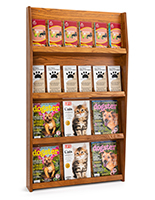 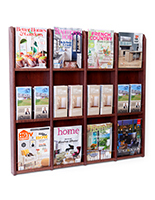 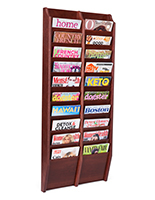 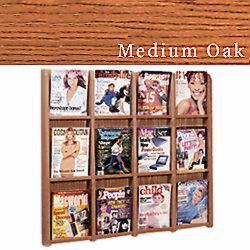 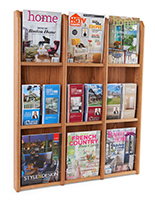 Constructed of a solid Medium Oak frame with acrylic front, this magazine rack holds 12 magazines or 24 brochures with the use of the plastic clip-on divider (12 included).